Air travel is generally the safest form of transportation, but when accidents do occur, they usually result in the most serious injuries and the most fatalities. Aviation accidents in California include not only major accidents aboard commercial and non-commercial aircraft but also in-flight injuries that may occur. If you or someone you love has been hurt or killed in a plane accident in California, an experienced personal injury attorney can help you protect your rights and seek compensation for your damages. 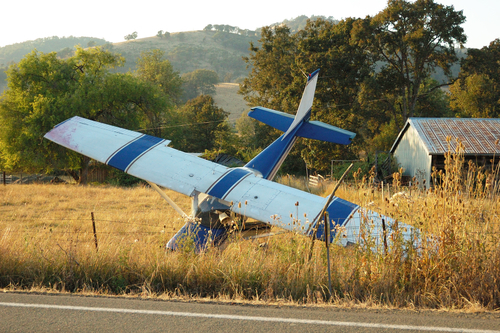 Aviation accident claims are often very complex as they involve state and federal regulatory bodies. In the case of a plane crash, reconstructing an accident to determine the cause can be very difficult and painstaking. This process can easily take months or even years. During this process, a personal injury attorney can help you guard your rights. Airlines are usually allowed to cap the amount airline passengers may sue for in case of an accident or injury. This limit is usually $75,000. An experienced plane accident attorney with in-depth knowledge of federal aviation law may help you recover more than this cap if it can be established that the airline was intentionally negligent. One or more parties may be liable for injuries in a plane crash or accident, depending on the circumstances. For example, the owner or operator of the aircraft may be responsible along with the manufacturer or the maintenance supplier. Here are all of the accident categories, click here. If you or someone you love has been hurt or killed in a plane accident in California, it’s important to seek legal representation as soon as possible to protect your rights and explore your legal options. Plane crash injury cases are notoriously complex, as are wrongful death cases, as many parties may be liable and establishing who is at fault for the accident requires careful accident reconstruction. Contact the Law Office of Tawni Takagi today for a free consultation with a Los Angeles aviation accident attorney to explore your legal options.